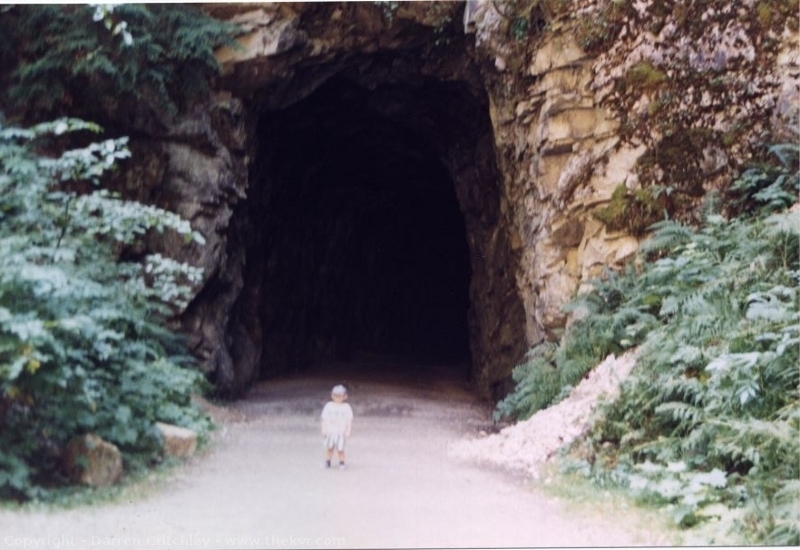 These are the Othello Tunnels also known as Quintette Tunnels as there is actually five of these tunnels. However the Tunnel #3 almost appears to be one long tunnel, but there is a small opening about half way along, I guess that is enough to call it five tunnels. 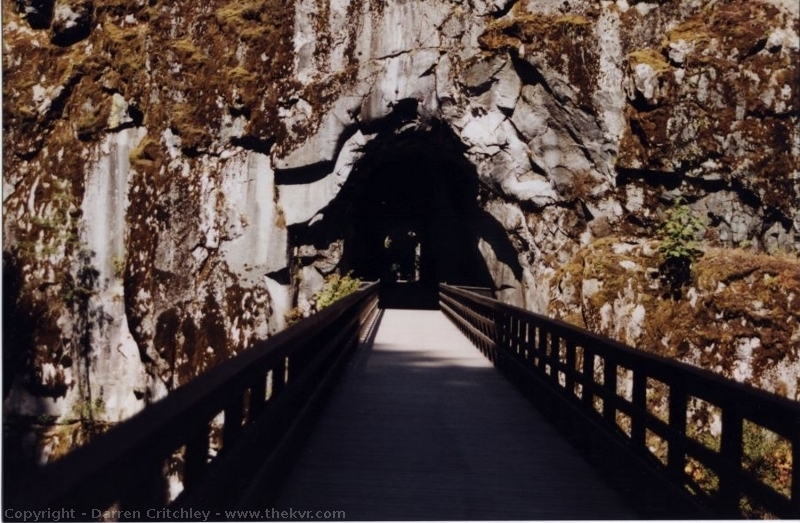 These tunnels were designed by Andrew McCulloch to save going around the Coquihalla Canyon. The railbed crosses the Coquihalla River several times and the views are well worth the trip. The trestles have all been converted to walkways now, and it is a provincial park. It is located about 5km outside of Hope to the east. 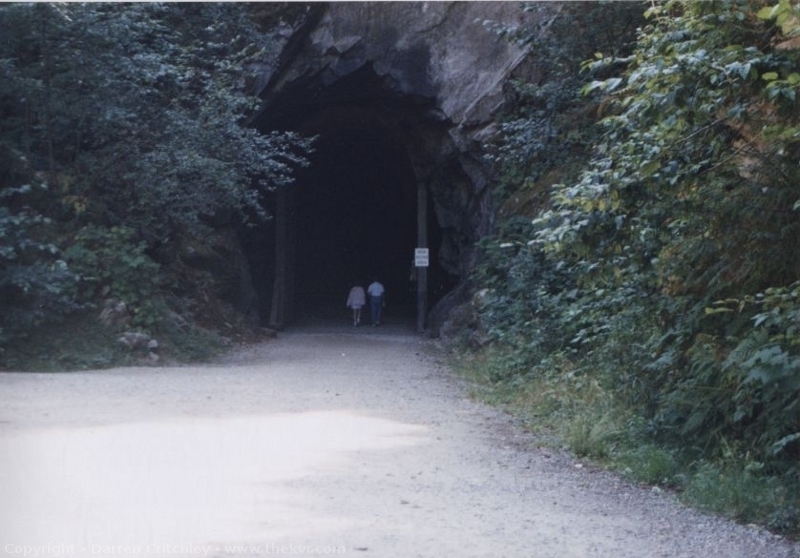 These tunnels have been preserved as a Provincial Park and are one of the few things of the Kettle Valley Railway that have been saved for future generations to see. 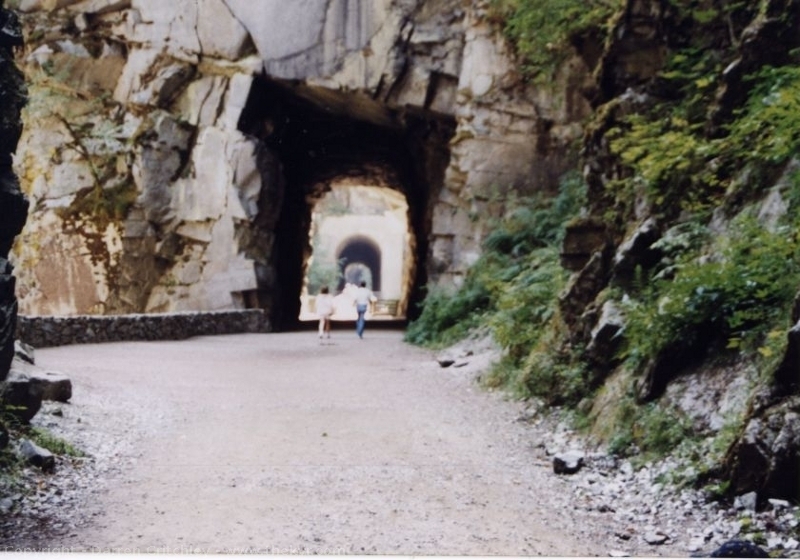 Here are some more pictures of the Othello Tunnels. Click on an image to see a larger one.